Through the years, this blog has continually returned to a food near and dear to America’s heart (and our stomachs)—pizza. 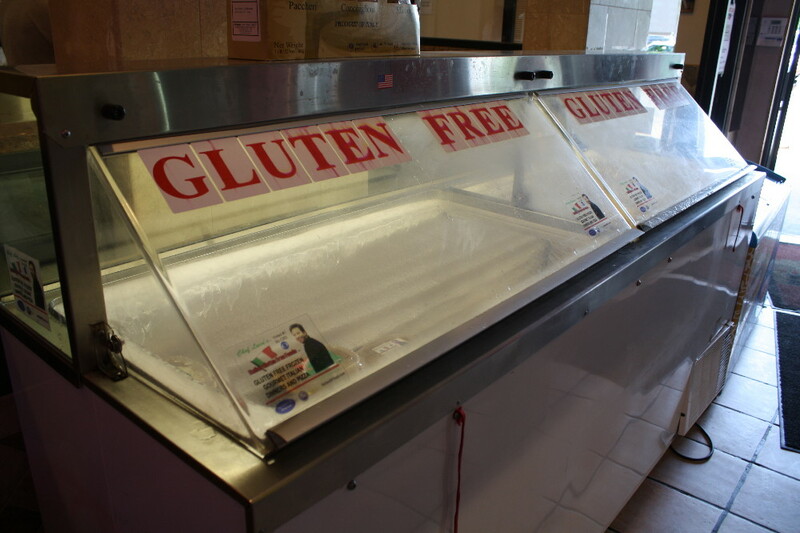 We’ve reviewed or blogged about national chain pizzerias that “do gluten-free” the right way (such as Z Pizza) and the wrong way (witness the Domino’s debacle). 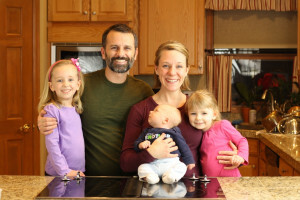 We’ve similarly focused our lens on your local mom-and-pop pizza joints, from Beau Jo’s in Colorado (which is now using the fabulous Gluten-Free Bistro crust!) to Gappy’s in upstate New York. On the other hand, there’s something to be said for a pizza place that really makes your pizza, from the dough that forms the crust to the sauce that tops it. Imagine a scenario such as this: You walk into a local pizza joint, knowing ahead of time that they offer a gluten-free pizza. As per standard protocol, you start quizzing the poor soul behind the counter (in this case, a young twenty-something) about how they make their pizza and how they handle concerns about cross-contamination. To your surprise, he answers every question in great detail, not batting an eyelash. He tells you that they have a dedicated gluten-free kitchen in back where they prepare the dough. Wait, what? Fresh pizza dough? 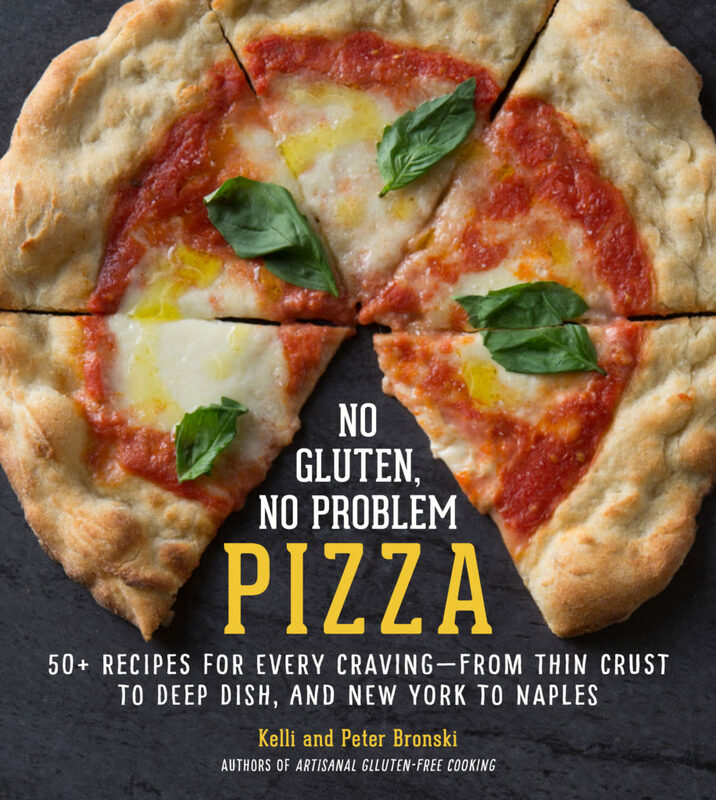 He continues to explain how they use dedicated pans to prevent contact with oven surfaces, and how when they’re preparing a conventional wheat pizza dough, they “slap” the dough with gluten-free flour, so that any airborne particles are likely to be gluten-free ones. “Great!” you say. You order two pizzas—one with pepperoni, one with plain cheese. Then watch in amazement as he dons a fresh pair of plastic gloves, produces two balls of gorgeous dough, and presses them into oiled pans, tops them, and pops them in the oven. As you prepare to take your seat with your older daughter, who’s three and a half, a woman seated nearby approaches. She couldn’t help overhearing, she says. She’s celiac and gluten-free, too, and makes it very clear that this pizzeria is something of a place of pilgrimage. As you walk to a table nearby to wait for the pizzas, you notice the Celiac Sprue Association signs, and the GIG Gluten-Free Restaurant Awareness Program logos, and the local gluten-free awards. You sit down at the table, and open the gluten-free menu. It easily has 60 items on it: appetizers, salads, hero sandwiches, pasta, pizzas, entrees. You push the menu across the table to your daughter. Her eyes grow wide. “I can order any of this? !” she says with a combination of disbelief and excitement. “Yes,” you tell her. “It’s all gluten-free.” You don’t normally get emotional about food (it’s easy being gluten-free), but this one time, you do. As you’ve certainly guessed, this is no make-believe scenario. It’s real life. 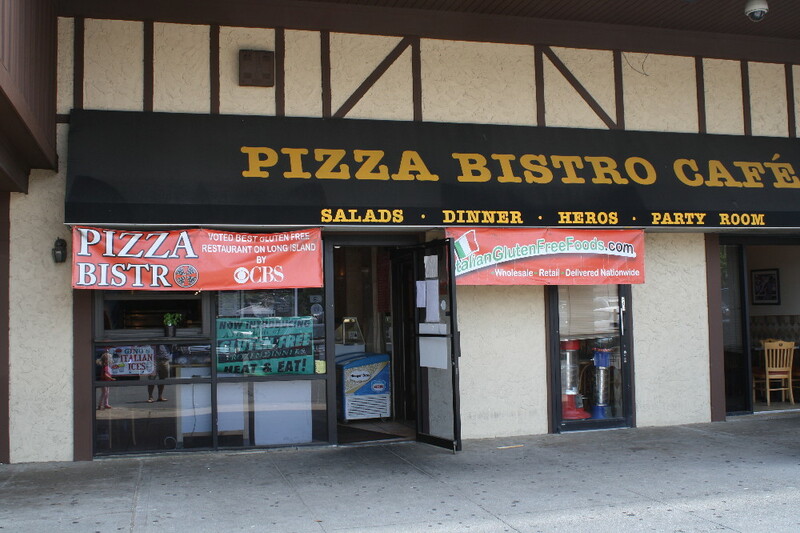 Welcome to Pizza Bistro Cafe in Massapequa, New York. This gem was a real find, and I was even more shocked to discover it since it’s literally located one town over from my hometown, where my mother still lives. How had I not known about it sooner? And how did the pizzas taste? In a word (actually, two) they were very good. The crust had nice chewiness and texture. (Still a little toward the white, starchy side, but I’ll give them a pass…) The red sauce was, for lack of a more descriptive term, yummy. 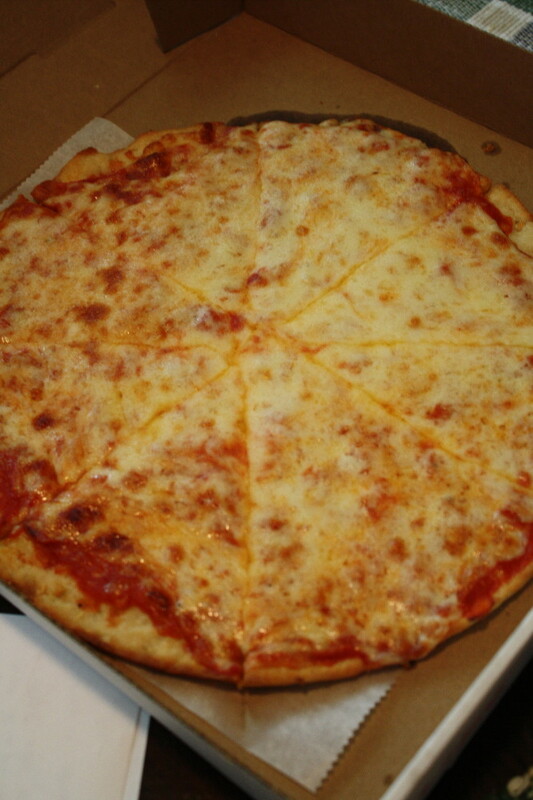 Pizza Bistro uses a blend of cheese that Kelli loved. I wasn’t so enamored (I’m more of a pure mozzarella kind of guy…). The pizzas, as you can probably see in the pics, could have used a touch less cheese as well! While I still retain an ultimate fondness for the pizzas we make ourselves at home, Pizza Bistro’s offerings were real winners. Oh, and then there’s the freezer case near the front of the store. You can take much of their menu home with you. Their gluten-free menu has apparently been so popular that they’ve launched a side business, Chef Luca’s Italian Gluten-Free Foods, which I believe also does mail order. Pizza Bistro is a fabulous little spot in an unassuming location. I can’t (yet) vouch for the rest of the menu, but the way they handled their pizza was impressive. This is an Italian-American pizza-and-pasta joint where your entire gluten-free crew can find a seat at the table, and order from a menu with an astounding array of options. 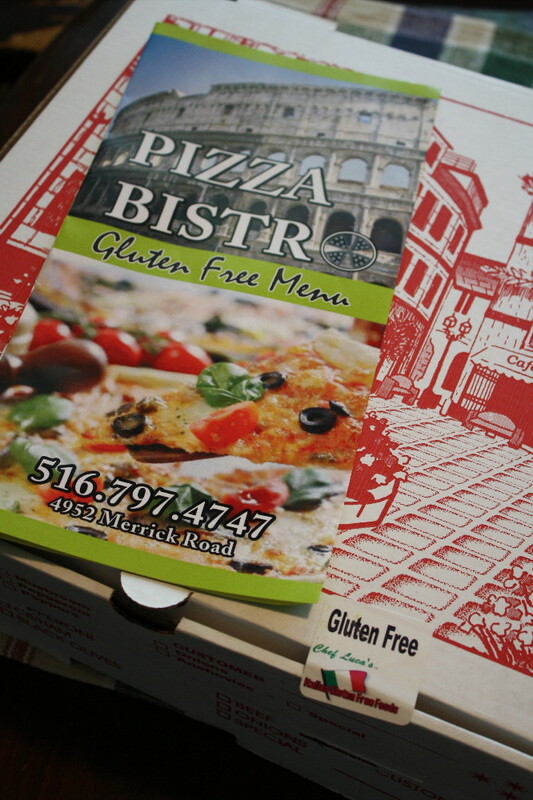 Other pizzerias could take a few notes about how to do it well, even if they don’t cater to the gluten-free community to the degree that Pizza Bistro has. Pretty good gluten-free pizza! 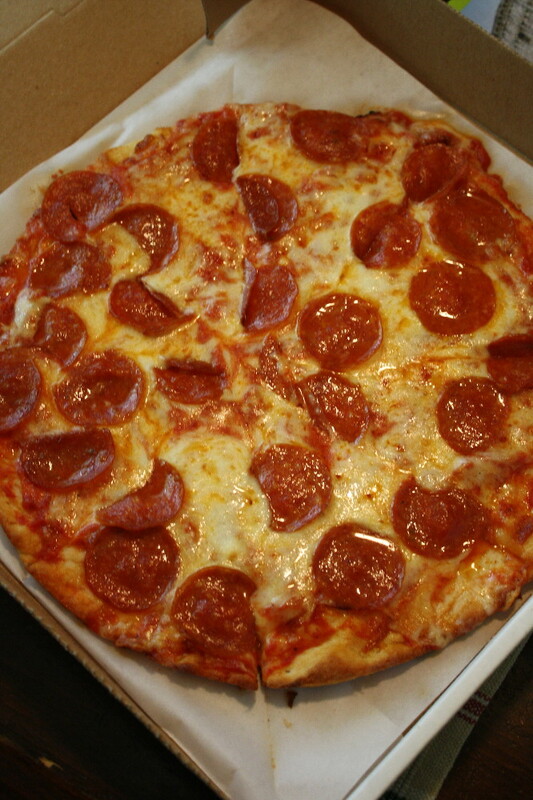 Pizza Bistro is definitely the place for those who love pizza but are on a diet.